Dr. Macht began Harbor Physical Therapy in July 2006. 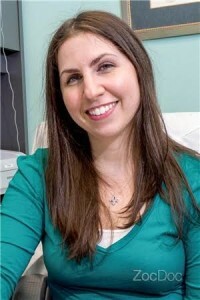 She received a Doctorate of Physical Therapy degree at University of Maryland, Baltimore and a Bachelor of Science in Kinesiological Sciences from University of Maryland, College Park. Dr. Amanda Macht specializes in treating soft tissue, overuse, post-operative, and sport injuries. Dr. Macht believes the key to a successful physical therapy outcome is a patient centered approach. Dr. Macht takes the time to get to know you and your injury to achieve the maximum treatment outcome. Dr. Macht truly enjoys working with people, which creates a fun enjoyable atmosphere for physical therapy. Not only will you see results, you will have fun!